The skin is a mirror to our soul. It reveals how we live, how we feel and how we care for ourselves. And it is constantly changing, as it is influenced by a number of factors. BIRKENSTOCK NATURAL SKIN CARE helps keep your skin happy and healthy thanks to real natural cosmetics that meet the highest quality standards. With selected plant-based ingredients, such as skin-firming cork oak extract, and innovative active ingredient concepts that not only keep your skin healthy, but at the same time fulfill your skincare needs and have a targeted effect. Our active ingredients and formulas undergo the strictest quality tests. Effectiveness and dermatological compatibility have been scientifically confirmed by independent institutions. 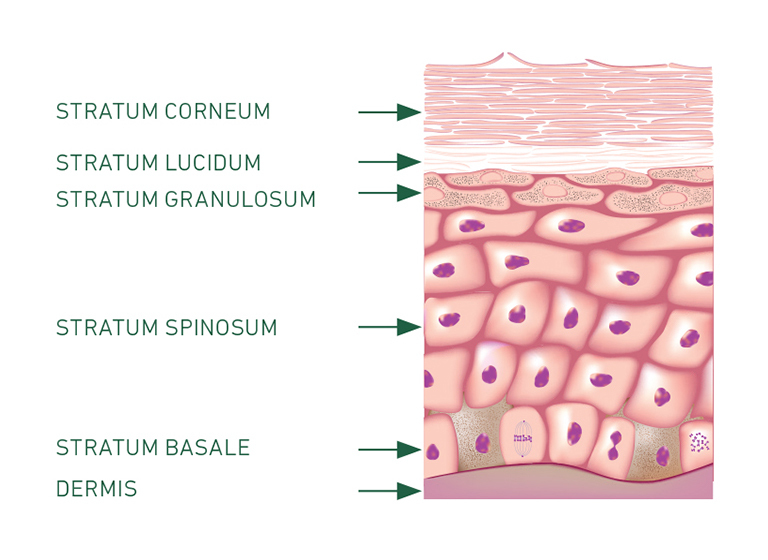 The epidermis is the outermost layer of the skin and is subdivided into several interlocking layers. It serves as a protective cover and represents the direct connection between us and our environment. Targeted skincare can improve its condition. Our products aim to preserve the skin’s youthful freshness and vigor. They intensively moisturize the skin and stimulate its water binding capacity. For instance, it has been shown that regular use of the Moisturizing Foot Balm increases skin hydration by 86%. HOW DO NATURAL COSMETICS WORK? 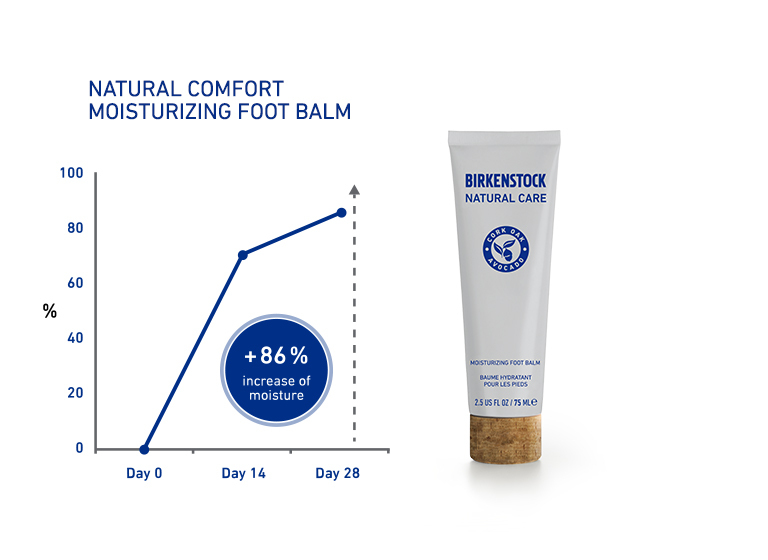 The central pillar of the BIRKENSTOCK NATURAL SKIN CARE active ingredient concept is a multi-active cork oak complex. 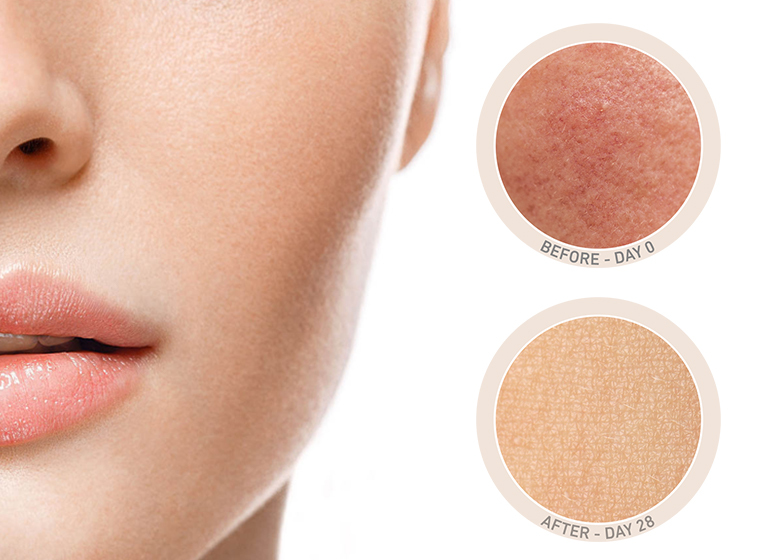 Cork oak extract is ideal for sensitive skin. Redness, the appearance of heat sensations, itching or tingling, as well as feelings of tension due to the loss of moisture, for instance, are characteristic of this skin type. - Reduces the intensity and frequency of skin redness. - Protects against free radicals, which are responsible for skin aging and damage. - Calms and protects sensitive skin. During the aging process, our skin becomes weaker. This makes it susceptible to oxidative stress caused by environmental stress factors and other inflammatory factors. This phenomenon is called INFLAMMAGING, a kind of silent inflammation of the skin. It is considered one our immune system’s initial reactions to infection or irritation. The causes can be very different: UV rays, air pollution, stress, or an unhealthy lifestyle. 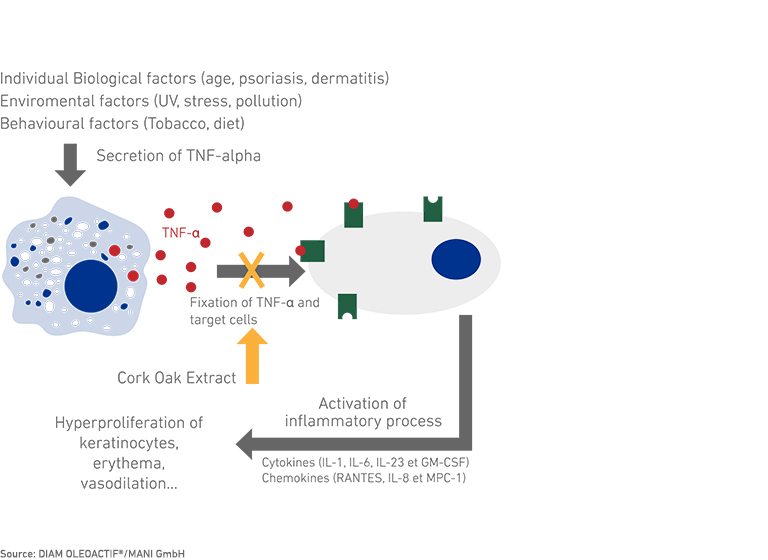 - In vitro study: Reduced secretion of TNF-α, an immune system signaling protein involved in inflammatory processes. - In vivo study: Reduction of skin redness at a concentration of 0.5%. - In vivo study: Protective and soothing effect on light-induced skin redness at a concentration of 5%. This study was performed with human epithelial cells (ARPE-19). 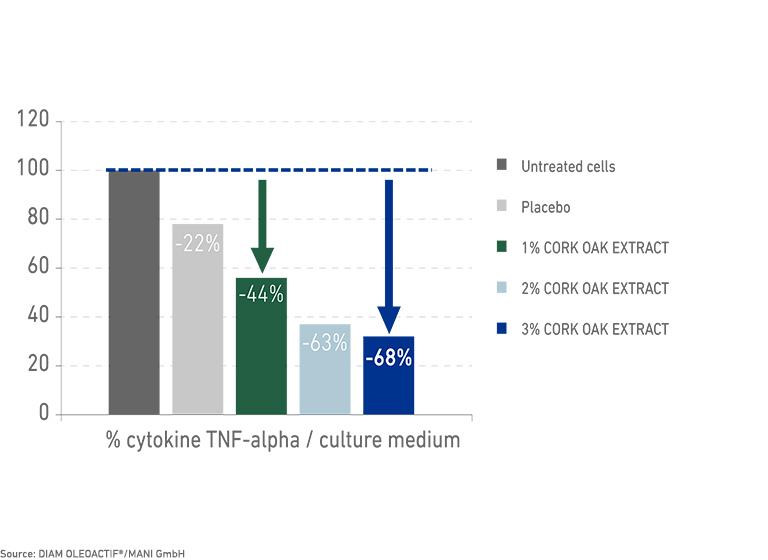 After adding an inflammatory agent, the cells were treated with 1%, 2%, or 3% multi-active cork oak extract. The result shows a dose-dependent reduction of TNF-α (-44% at 1%, -68% at 3%). 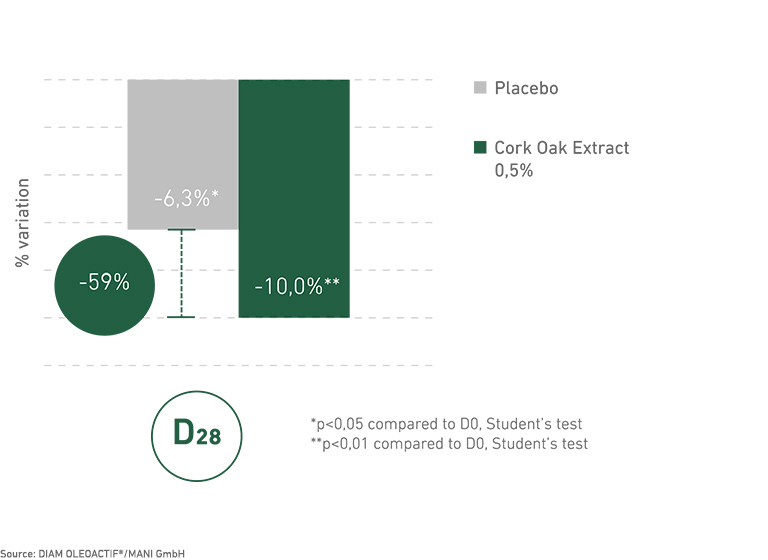 A clinical study of 20 subjects aged 30 to 50 years with sensitive skin and mild rosacea showed: Using a cream containing 0.5% cork oak extract over a period of 28 days twice daily reduces the amount of hemoglobin – and redness – by 59% compared to a placebo cream. At the same time, the collagen content can increase, which significantly improves the structure of the connective tissue. Helps the skin respond better to inflammation that can be caused by UV rays. 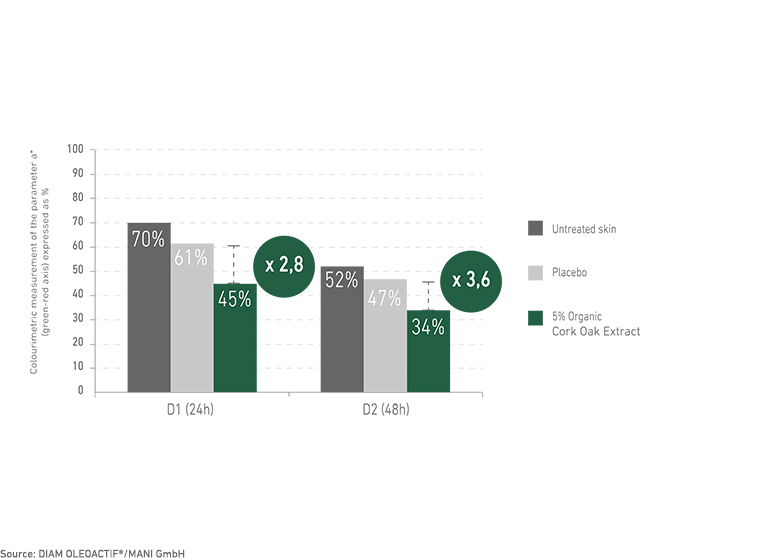 After only three applications, skin redness is reduced by as much as 70%. 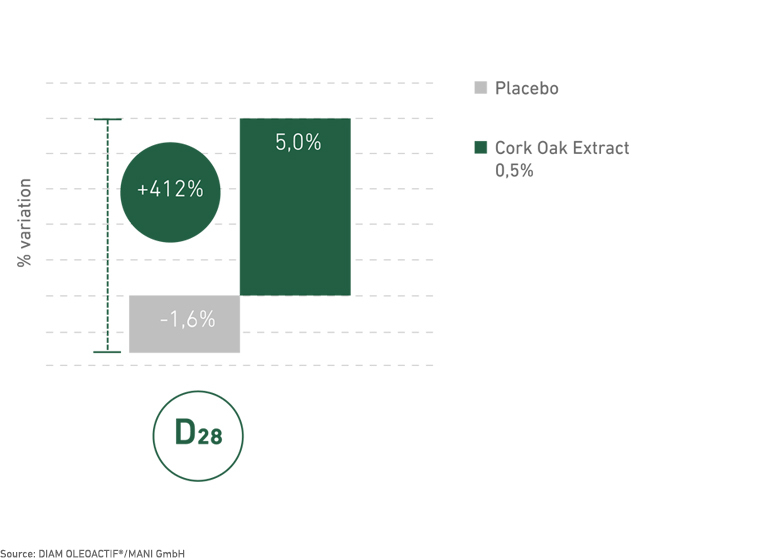 Twice-daily use of a cream containing 5% cork oak extract reduces redness three times more than placebo in just 11 days. 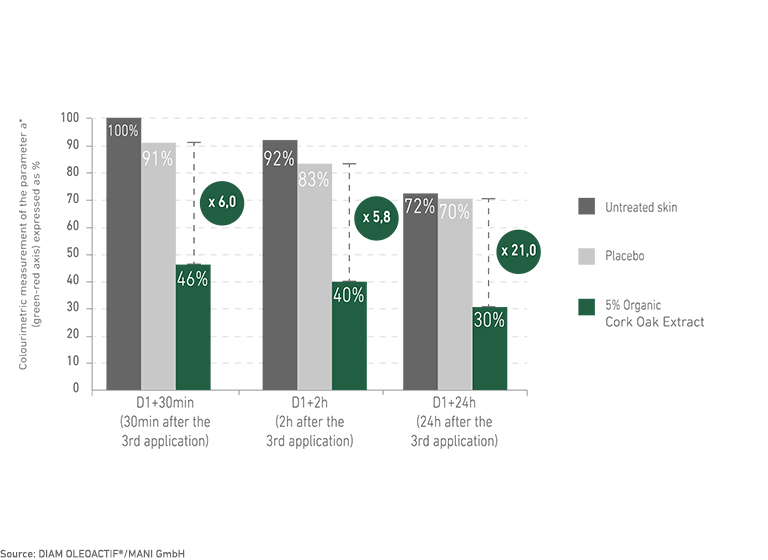 Immediate treatment of skin redness for three consecutive days with a cream containing 5% multi-active cork oak extract results in six times more reduction in redness compared to a placebo cream.